Removes dissolved and dispersed oils. Typically, over 90% of total hydrocarbons are removed in a single pass through the cartridge with no release once adsorbed. Lower outlet levels of hydrocarbons can be achieved by connecting cartridges in series. Higher flow rates also can be achieved by connecting cartridges in parallel. Oil adsorbing filter cartridges are made by rolling the sheet material onto a central core support. 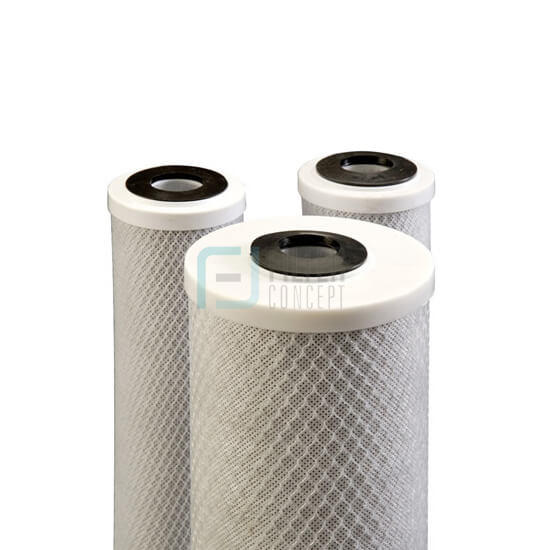 The core & outer surface of filter media rolls are covered with retaining mesh. The complete module is then encapsulated in to end caps suitable for fitting into a variety of housing configurations.